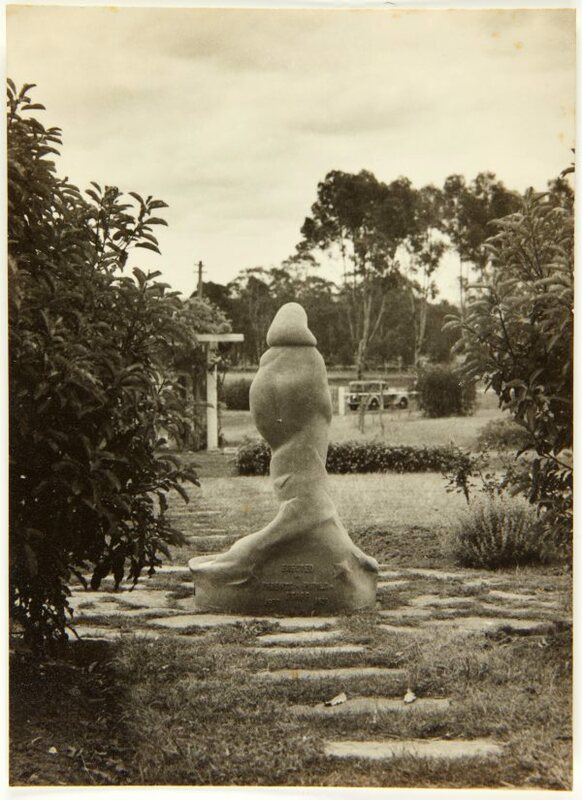 Eleonore Lange designed this birdbath for the grounds of the Special School, Glenfield. It was produced in cast stone. The inspiration for the sculpture is the story of ‘The Star money’ (German ‘Die Sterntaler’), a German fairy tale collected by the Brothers Grimm. It tells of the generosity of a poor girl, who gives away everything to those in need. As she stood naked and with nothing left to give away, stars fell to earth, turning to gold as she collected them. The birdbath was Lange's last major work, as she largely withdrew from sculpting after its completion. This photograph is one in a series of the birdbath taken by Austrian-Australian photographer Margaret Michaelis.